Professor of Clinical Practice in Narrative Journalism and writer-in-residence in Boston University’s journalism department, and founder and director of the Power of Narrative Conference, www.bu.edu/com/narrative, now in its 18th year. He co-authored two leading textbook/readers on narrative nonfiction: Telling True Stories and Literary Journalism, and is at work on a book about revising. 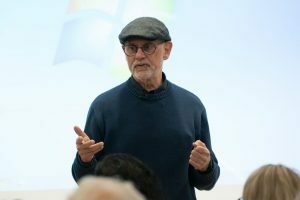 He has been writer-in-residence (in American Studies) at Smith College and writer-in-residence and founding director of the Nieman Program on Narrative Journalism at Harvard University. His website is www.tellingtruestories.com.